Amma continues to make the rift between Gangaa and Niranjan wider. Sagar is studying in his room when he thinks of Gangaa as she had told Niranjan to fire Tiwari and he had raised his hand midair to slap her but had stopped. He thinks he (Sagar ) wouldn’t have stopped himself if it was Sagar or Pulkit in her place then he would have punished them such that they would not forget in their life ever. Sagar is disturbed as his grandma had taken Gangaa’s side. He hears some noise and peeks outside his window to check. A few guys are on the bike. They throw a note covered around a stone in his room and drive away. Pulkit takes the note before Sagar can even open it. Sagar is curious about the content in the paper and asks if he know those bikers?. Sagar again asks his elder brother if they are his friends as he have never seen them with him. Pulkit doesn’t tell him anything and clearly says the message is only for him. Sagar is sure there is something fishy. But Pulkit refuses to share it with him and Sagar is irked as no one tells him anything, neither Gangaa nor his brother. He tries to go but Pulkit stops him and asks what happened?. 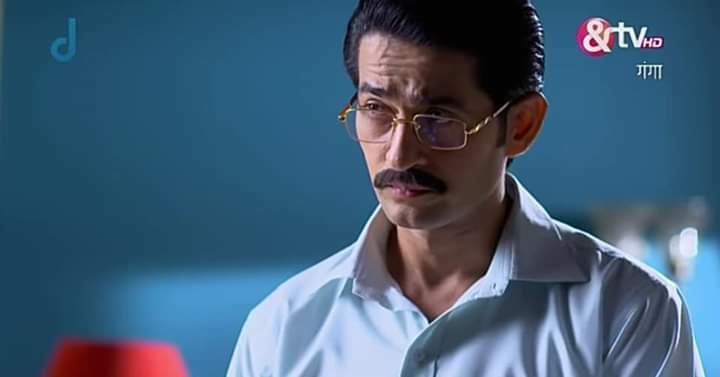 Sagar says everything changed and he cannot understand anything as his grandma is always angry with Gangaa but these days she is supporting Gangaa plus his father is scolding Gangaa these days as he is upset with her. Pulkit too is confused about the sudden closeness between his grandma and Gangaa. Sagar feels there is some secret between Gangaa and his grandma. Pulkit suggests him to find out if he is so confused about the entire thing and not even try to read his messages from next time onwards. He leaves. Sagar decides to find out the reason behind Gangaa and his grandma’s strong friendship. While Amma is doing prayer, Gangaa too sits down for the prayer upon her askance and to make matters worse, Amma makes Gangaa recite after her and makes her swear in her father’s name. 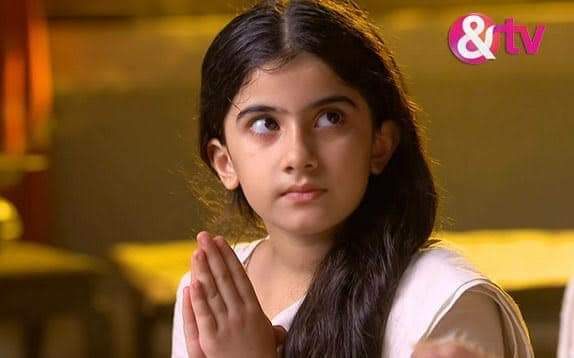 Gangaa’s vow where she is supposed to not talk to anyone or utter anything starts and that she cannot break her fast till the time she tell her to. Gangaa nods. She sits down to concentrate while Amma heads to the kitchen to bring some raw milk. Sagar comes there and asks her all the questions that have been troubling him and that he is sure there is some secret between her and his grandma. Amma interrupts him in order to prevent her grandson to know that she fools Gangaa into taking a vow of silence. She tells him that it is time for him to study and he leaves sadly. Amma tells Gangaa to nod her head in affirmative or negative in reply to her questions. She is relieved to find out that Gangaa kept quiet and didn't share anything with Sagar. She sends Gangaa to bring something from the kitchen. Amma apologises to her Lord Shaligram that she is troubling such a young girl but she cannot let the world point fingers at her regarding her status in the family; and how Gangaa has become more important for Niranjan than his own mother; in which he does so much as pay heed to her, etc. She thinks of Sudha’s and Prabha’s taunts that the storm inside her ( Amma ) soul can be quiet only this way and that the Lord can call it a sin or a good deed but Gangaa’s silence and fast can only quieten it and that is the only thing that can bring peace to her heart. She asks the goddess to forgive her, that she have no other option. Just then, Tears stream down her eyes and she too sits down to meditate. Sagar notices Gangaa’s notebooks. He thinks of his father’s disappointment with Gangaa. Madhvi comes there and picks up Gangaa’s books. Sagar watches it while he hides behind a pillar. Niranjan too comes there. He thinks of his own reaction as he looks at the sugarcane stick. Madhvi justifies his reaction that he would have been angrier on Sagar or Pulkit if they were in Gangaa’s place. He nods. But he wonder how to explain to Gangaa as she is not their daughter but they only have to think about her welfare. He wonder when and how lovingly should he talk to her?. When to be strict with her and till what extent?. But he cannot understand this because he is scared. Madhvi agree that it is very tough to raises someone else’s child and he know this since the time he had brought her to the house. Plus she have never seen her husband shying away from his responsibilities or any challenges that life threw in his way and neither do she want to. Madhvi adds on that this is not something wrong as Gangaa made a mistake and he scolded her for it, then the story ends there. A new day will bring a new hope and request Niranjan to forget what happened and then talk to Gangaa as she might have understand her mistake too. Niranjan is amazed at his wife simple explanation. Madhvi jokes that Amma will scold her if she hears him praising his wife so much. Sagar is happy that his father finally smiled once his mother explained it to him and now he can forgive Gangaa and everything will be fine again. While Gangaa is watering the plants, Sagar comes to tell her to talk to his father as he is in a good mood now. Madhvi brings milk for Sagar. They all go quiet when they notice NIranjan. Madhvi signals him not to be angry with Gangaa anymore. He calls Gangaa to come near him. Amma too comes out to watch it. Niranjan wants Gangaa to tell him the reason behind her action yesterday and promise that he wont say anything if she tell him the truth. But Since Gangaa has vow to not talk to anyone, she keeps quiet which irks him. Gangaa notice this and looks at Amma who signals her to remain quiet. Gangaa shakes her head at Niranjan. He asks her if she doesn’t regret what she did yesterday and don't feel bad about what she did with her teacher?. He notices that she is silence and asks why is she quiet as she talk nonstop every day but now she is all quiet. He insist her to tell him what happened and not to talk to him if she don’t want to. 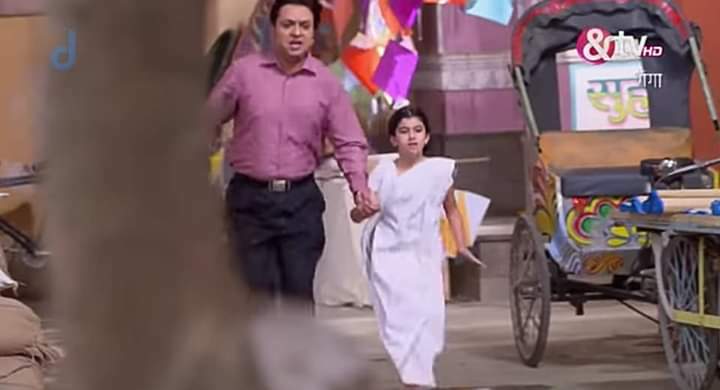 Niranjan tells Madhvi that Tiwari was very sad and upset yesterday and Tiwari told him not to call him here to teach Gangaa but Raghav has asked for one last chance. Now she should ask Gangaa if she wants to study or not and maybe she will speak to her ( Madhvi). He adds on that they will call her teacher only when Gangaa is ready to study and it should be her wish, no pressure of any kind from anyone. Madhvi says Gangaa will surely study. Niranjan gets angry by her silence and says he don’t want to hear or say anything now. He storms out of the house with Madhvi following him, trying to explain things to him but in vain. Amma too goes inside and pleased with her plan. Sagar takes Gangaa upstairs with him. Sagar scolds Gangaa that his father was talking so sweetly to her but she kept quiet and angered him all the more. He asks what has happened to her and to atleast tell him and promise to talk to his father on her behalf. She recalls her vow to Amma. Sagar doesn’t let her go until she tells him the truth that she is certainly hiding something and asks if his grandma say anything to her?. She shakes her head and he is 100% sure that she is scared so she is quiet. She nods but then shakes her head. He requests her to speak up as she used to tell him everything earlier but now she don’t care and don’t care about him anymore. He adds that he was so concerned for her and he couldn’t sleep the entire night as he was worried about her and he thought she would be hurt and crying but his father is right that she is stubborn and don’t listen to anyone. As he begins to go, she stops him and agrees to tell him through gestures. He is confused and request her to write if she is scared to talk. He realises that she cannot talk. 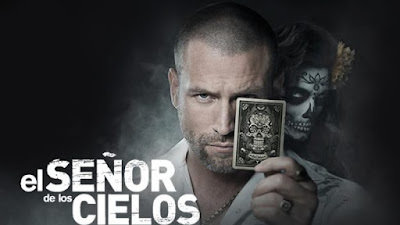 She tries once again through gestures but this time he tries to figure out everything that his grandma has made her take up a vow to keep quiet?. He wants to tell it all to his father but she requests him not to do so. He wonders why she doesn’t want him to tell it to anyone and insists they should share it with his father, if not he will become all the more angry if she keep quiet and atleast he can talk to him. He assures her that he will talk to him and not to worry. She makes him take a swear on her. He agrees for her sake but is still not sure why she is doing so. He runs off to tell the same to his mother.